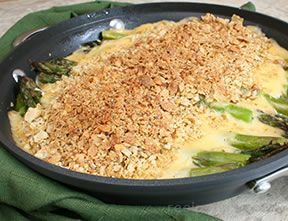 Fresh asparagus coated with cheese and a crispy crumb topping provides a delicious side dish for lunch or evening meals. 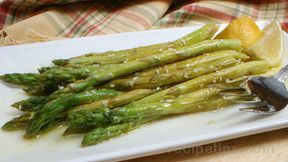 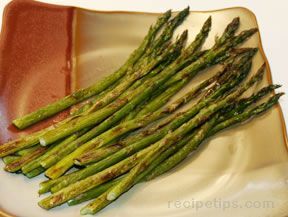 For similar recipes, see our Asparagus Recipe Collection. 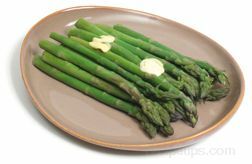 Melt butter and when butter is completely melted, combine flour and salt, whisking together until all ingredients have a smooth texture. 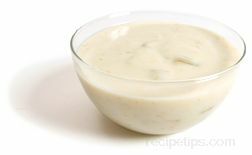 Add milk gradually to ingredients to thicken the sauce as it is stirred and then add shredded cheese. 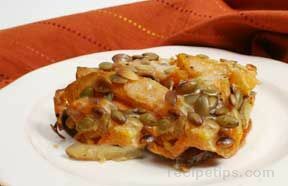 In a small bowl, combine corn flakes or crumbs and chopped walnuts. 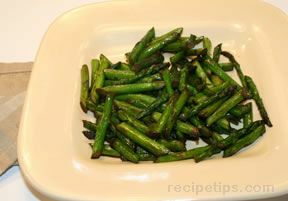 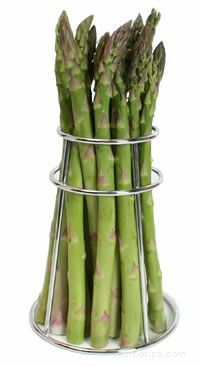 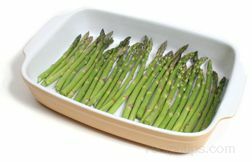 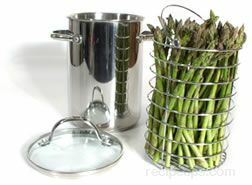 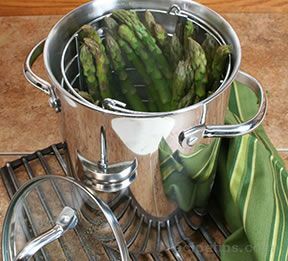 Precook fresh asparagus by steam cooking stalks in pan with boiling water for 5 to 7 minutes. 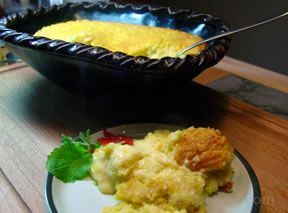 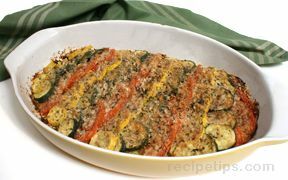 Grease the bottom and sides of a shallow sided pan such as a gratin, baking, or paella pan. 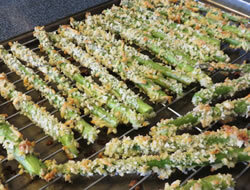 In the pan, use half the asparagus in a layer and then layer on half the breadcrumbs or corn flakes. 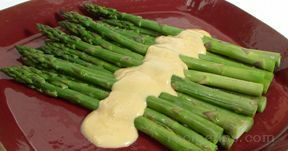 Pour half of the milk and cheese sauce over the asparagus. 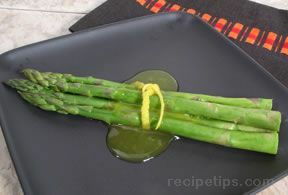 Add a second layer of asparagus, placing the heads of the stalks opposite to those in the first layer. 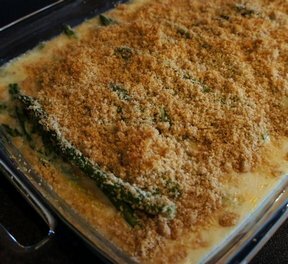 Put the rest of the milk and cheese sauce over the asparagus and then top with the remaining breadcrumbs or crushed corn flakes mixture. 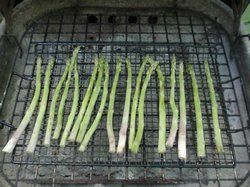 Set oven temperature at 375° F and bake for 20 minutes, or until top is golden brown. 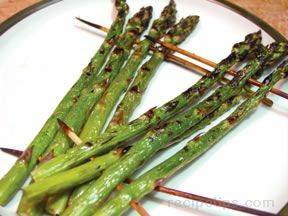 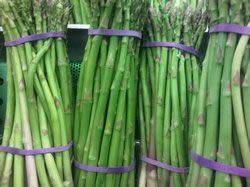 "My asparagus is not ready yet but they had it on sale this last weekend at the supermarket so I picked some up. 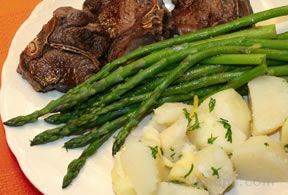 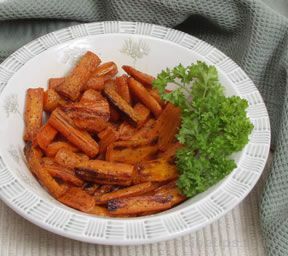 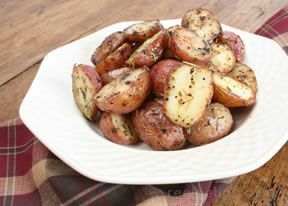 I used this recipe last night for supper and it was pretty good. 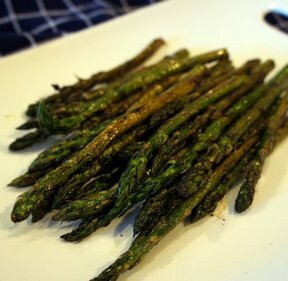 I will definitely make it again when my asparagus starts coming. 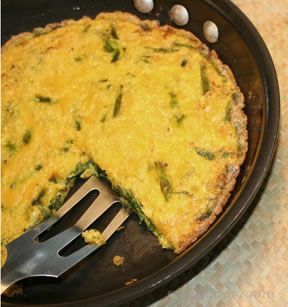 I will probably use a little less milk next time and I used pecans instead of walnuts because I like them better. 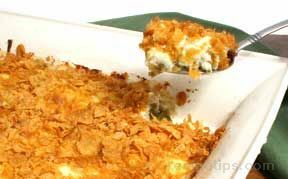 I used cornflakes for the crunchy topping and I thought that worked great."